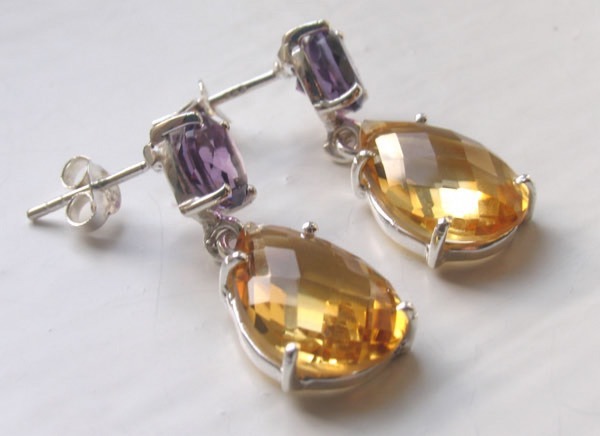 Citrine and amethyst stud and droplet earrings. 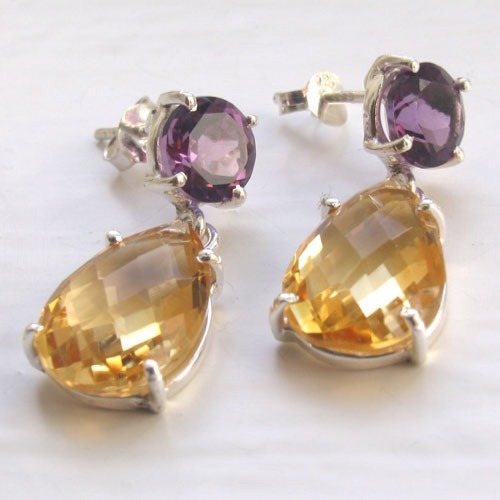 These superb earrings fasten into your ear with a post and butterfly fastener behind the amethyst gemstone. 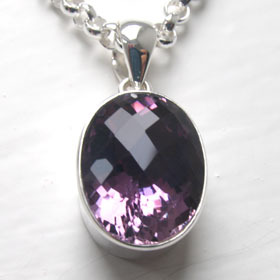 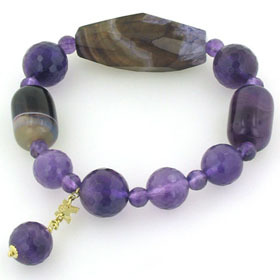 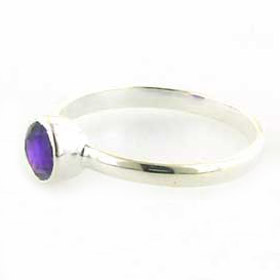 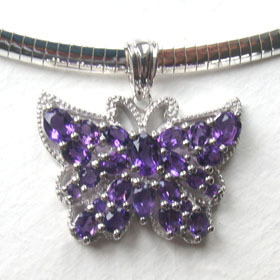 This is a diamond cut round amethyst, claw set in sterling silver. 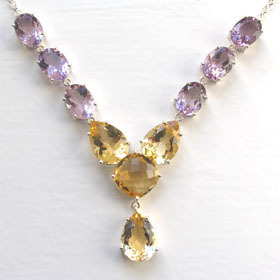 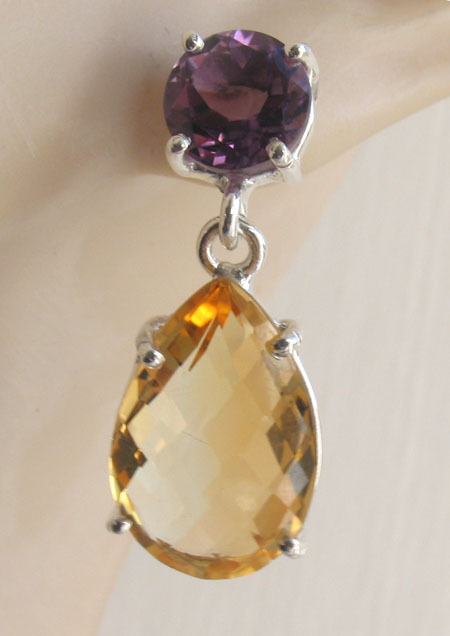 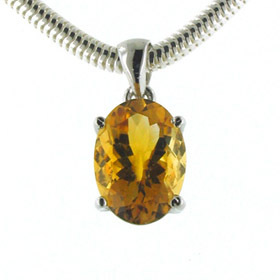 A superb golden citrine pear droplet falls from this stone. 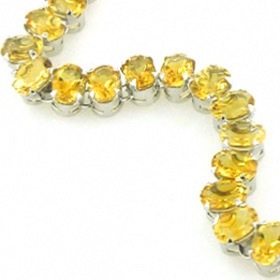 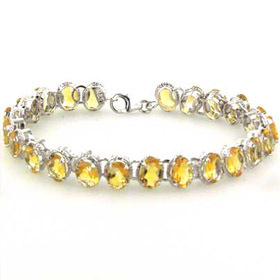 This is a cushion checker cut, flawless citrine which sparkles from every angle. 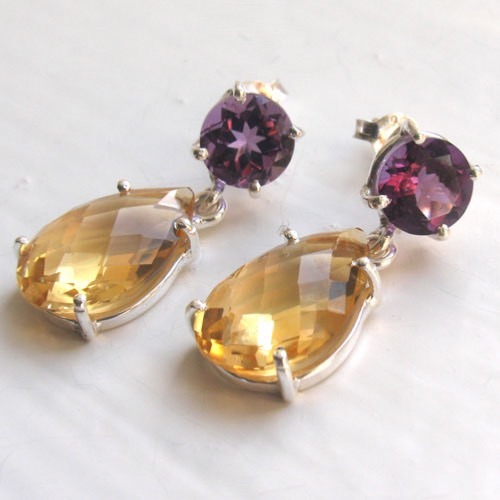 These gemstone earrings are sure to hit the spot!